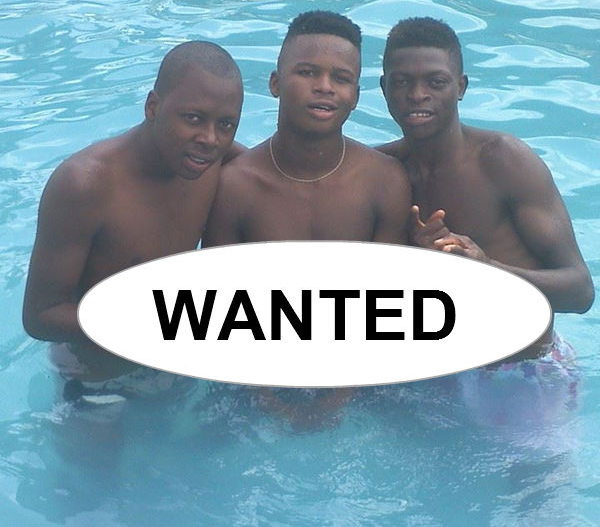 Wanted – Edo Boys Makes Millions Out of TB Joshua! Recently the Ghana Police intercepted a group of fraudsters who duped Ghanian’s worth 4 Million dollars and in was broadcasted on Emmanuel TV. While the warning on Emmanuel TV should be a lesson to both fraudsters and the general public, more fraudsters are rising by the day and this time is a group of young boys based in Edo State of Nigeria. These young boys advertise TB Joshua and the SCOAN product (Anointing Water, Sticker, Wrist Band) daily on the internet and desperate people falls victims daily paying thousand’s dollars to the fraudsters. We would happily give the Nigerian Police details of how we located them in Edo State. 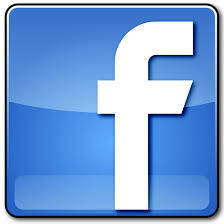 We have posted their photos below. The recent tragic incident that led to the death of four persons and others injured in SCOAN Ghana branch cause by unexpected crowd that troop to the church for free new anointing water allegedly sent by TB Joshua to be shared among the SCOAN Ghana church members. Many critics of SCOAN have used this opportunity to say all kinds of things about the prophet knowing to them that Stampede is a normal occurrence during huge world invent like festivals, campaigns, protects etc. 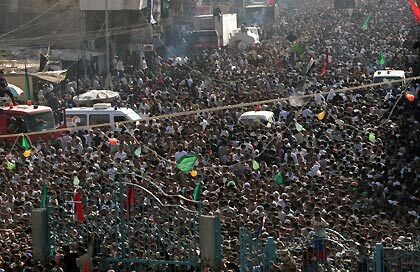 Stampede occurred were massive crowd gathered especially when there is struggle and rush. Many of these critics have tried to involve or accuse the prophet concerning the incident, but the fact remains that this incidents have nothing to do with the prophet. Tb Joshua was not in Ghana and this is the first time in the history of SCOAN have we heard that persons dead from large crowd and SCOAN is know for huge crowd. Stampede is a common occurrence in the world when there are large crowd. We have seen record of hundreds of persons that dead form stampede in Mecca and other large gathering around the world. Also, many of this critics have questioned the prophetic gift of the prophet, as to if he saw the incident beforehand and if he did, why did the prophet not prevents is occurrence. The prophet saw it coming that is why he cancelled the meeting. The meeting was cancelled before this incident took place. It is not TB Joshua fault. Do you expect TB Joshua to be with them and teach them how to conduct their selves, even the crowds in SCOAN headquarter was the worst; it took security agent to claim the crowd that was desperate for the free new anointing water. Who know what may have happened if the service was not discontinued in SCOAN Ghana, the death casualties may have even be more than this. SCOAN did not make any public announcement that they want to distribute anointing water in Ghana, even the Ghana pastor stated that their usual numbers of members where 15,000 and they were very surprise to see up to 45,000 and above which is not usual on a normal Sunday service in SCOAN Ghana. The prophet is someone that has the people at heart he wants to see a world that is Godly and right. The mission of the prophet is not to kill but to give life and salvation to the children of God. But, the evil ones who are haters of good thing are looking for all means to stop this great mission of the prophet by giving him bad names so that those that supposed to be saved by the grace in the life of the prophet will be deceived. We know they will never succeed by the grace of God. 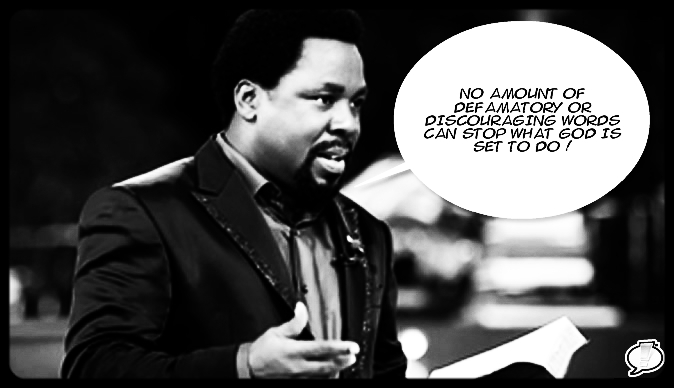 Is TB Joshua Anointing Water the Savior? This is another issue that have being raised by some critics, SCOAN have made it clear countless of time that anointing water is just a medium, Jesus is the healer. We should be careful with the way we speak and react against the things of God. Jesus is our focus, TB Joshua have never said that he is equal to God he has always see himself as a servant and God is the master. TB Joshua remains the most humble servant of God among mega pastors and yet he is the greatest among them all. Those who are ignorantly taking the prophet as a god are on their own the prophet has nothing to do with it. Salvation is the major focus of SCOAN not miracle, all the healing and deliverance in SCOAN are all for the salvation of our soul. The General Overseer of the Synagogue Church of All Nations (SCOAN), Prophet T B Joshua says no amount of defamatory or discouraging words can stop what God is set to do in the nation, Ghana. In his quest to find lasting answers to the numerous challenges that confront the body of Christ in this nation he embarked on a familiarity visit to the Ghana branch of the church situated at the Spintex road to ascertain the amount of work on the ground and to look for possible solutions to them. But this has not gone down well with some individuals within the media circles who have little or no knowledge at all about the man of God or are being used by some aggrieved men who are into Kingdom business and feel threatened at the visit of the man of God or have allowed themselves to be used by the devil to stop the move of God. It is in the wake of this that I have taken the pain upon myself to paint a vivid picture of the situation on the ground and to advice those media men whose intention is to throw dust into the eyes of the public to tread cautiously because no mortal man challenges the almighty God to a fight and comes out victorious. 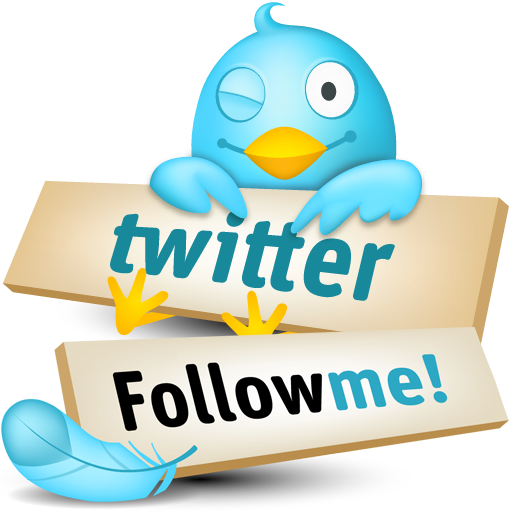 Plus, , I want to point it out that no amount of defamatory statements can stop the hand of God over his people in this nation. These media men who are bent on painting negative images of Prophet T B Joshua and his ministry trumpeted unfounded allegations that the presence of the Man of God and the Wise men created a serious vehicular traffic on the Spintex road as at Tuesday dawn, workers abandoned their posts to attend miracle sessions, the man of God was affiliated to a certain political party in the country, and then also supposedly guards of the man of God had detained Journalists who wanted to cover the programme. If one cares to know, the presence of the Man of God was to address the challenges of the numerous Ghanaians who besieged the Headquarters of the Synagogue Church of all Nations in Lagos-Nigeria week in week out to meet him and not to ran a crusade. Hence not a second advert was placed on Emmanuel TV or any other social network. I would again like to put it on point that the allegations of a huge vehicular traffic on the Spintex road was not as severe as reported but an act of heavy exaggeration because one could drive past the area in 10-15 minutes because of the presence of traffic controllers. The Man of God didn’t advertise his coming and could not have asked workers to absent themselves from work. His visit was to attend to those who were making frantic efforts to see him in Lagos-Nigeria and when people got wind of his coming they began to reach out to relations on phone and that contributed to the numbers that flooded the premises. On his take on the allegations of political affiliation, Prophet T B Joshua refuted it saying the nature of his job does not permit him to be associated with any political set up both locally and internationally, and that he was for all. The most diabolic of all the concocted stories on the internet is the one that says supposedly “Body Guards” of the Man of God had detained Journalists from NET 2 TV for taking footage of the gathering, an allegation purported to instigate the media against the man of God and his ministry. The two Journalist colleagues namely Seth Yeboah and Abdul Wahab Giwah who I attended the second day meeting together with made it clear to me that they had gone to cover the event but were met with a huge crowd at the entrance making accessibility impossible. At this point they consulted the church security men who ushered them into the church security post which saved them the trouble of hustling through the crowd. They had access to water and some energy drinks with the promise that their request to take visuals will be forwarded to the church authorities for approval. Due to the huge human presence, it appeared the concentration of the security men was on crowd control and so each time the two journalists enquired about progress made on their request, one of the security men by name Vincent Aziza told them to give him time since he is yet to receive clarification from the authorities. According to the two journalists from NET 2 TV it was until 1pm when crew from Multi TV were also ushered into the security post to wait for the Green light before any filming could go on but they raised an alarm which suggested we were facing detention, which attracted the presence of the police. The two journalists from NET 2 TV have however expressed shock and dissatisfaction with the publication that seemed to link them with the detention story and would like to correct that impression The two journalists have stated categorically that they were not kept against their will let alone being detained . They had the option to leave without taking coverage or stay and wait for the approval and they opted for the latter. In an interview with Rev. Samuel Excellence a representative of the church in Ghana, he revealed that the man of God’s visit to Ghana was to bring relieve to the poor and less privileged Ghanaians who go through strenuous conditions to met him at the Head Quarters weekly. He said some sold their properties, vehicles or even borrowed money to travel to the Head Quarters which most often the man of God ended up refunding their moneys back to. This he said applied to people from Togo, Namibia, Cameroun, South Africa and the World over, so the presence of the man of God was not to create chaos, vehicular traffic, road blocks, exploit Ghanaians or step on the toes of any persons or cause supposedly body guards to manhandle journalist but to reach out to the vulnerable at their doorstep. Rev. Samuel further indicated that the man of God does not use body guards because he wants to reach out to the unreachable and has always maintained that he is accessible but untouchable. He seized the opportunity to render an apology, on behalf of Prophet T B Joshua to all who might have been offended by his presence in Ghana. Before the commencement of the second day’s service one of the wise men by name Daniel addressed the issue of the media saying Emmanuel TV is a Media organization and so when they fight the media then they fight EMMANUEL TV and that SCOAN is a media friendly set up and that it is through the media that most of the negative impressions about the man of God has been corrected. Prophet T B Joshua arrived later on Wednesday afternoon and addressed all the concerns that had been raised in the media, and also apologized to the media men for any inconveniences that they might have been through saying SCOAN is a media friendly setup and had no basis to stop the media from taking coverage of the event since he knows what he is doing is “light and not darkness”. If you are doing “wuluwulu things” that is when you think of keeping the media away, he said.